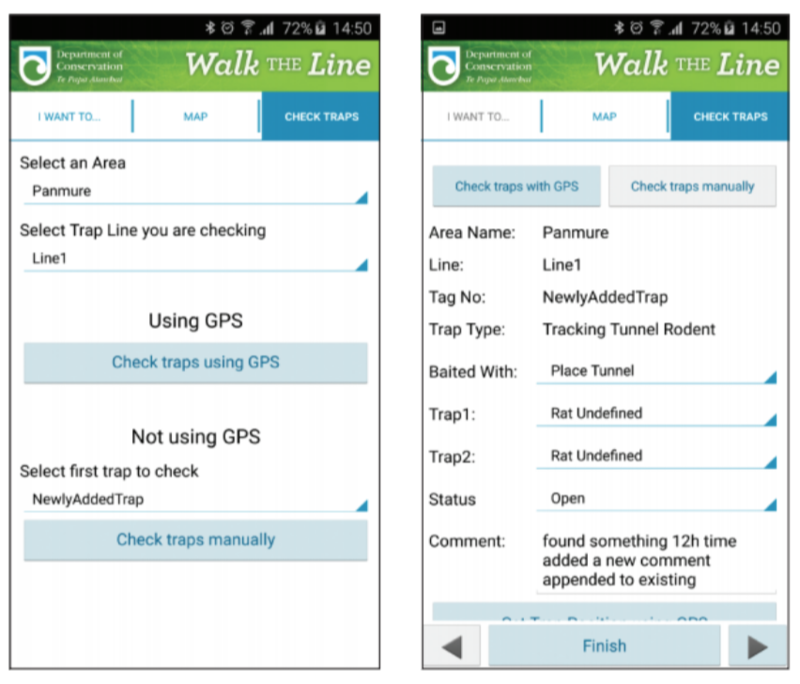 The Department of Conservation (DOC) commissioned GBS to create an Android Mobile Application which enables DOC Rangers to navigate to traps and capture trap details. In 2013 DOC’s focus moved to working with communities, the Walk the Line application was seen as an opportunity to support community groups in trap monitoring. DOC decided to build a version of the Walk the Line application to run on the Android platform and ultimately decommission their Windows Mobile version of this application (which GBS also built). agreement or is minimal in cost. GBS worked with DOC to build a solution that met these requirements. 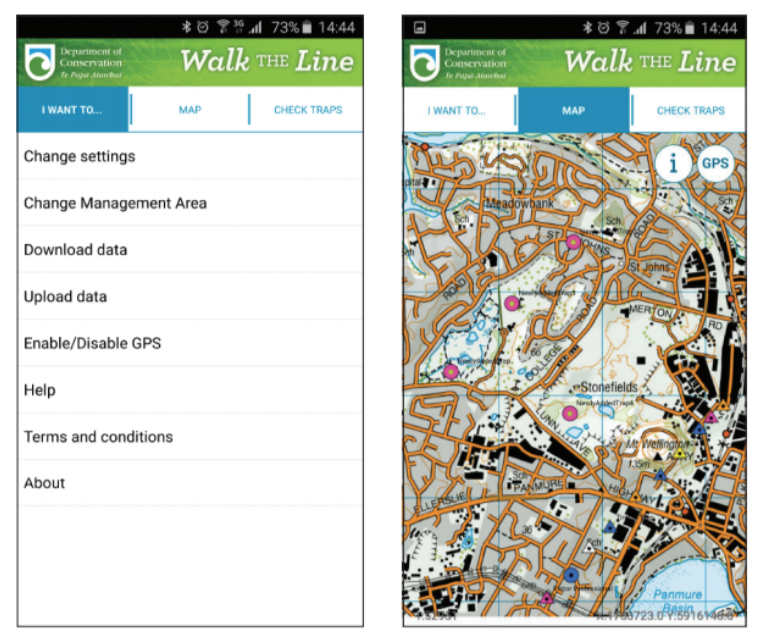 Esri Runtime SDK for Android version 10.2.8. 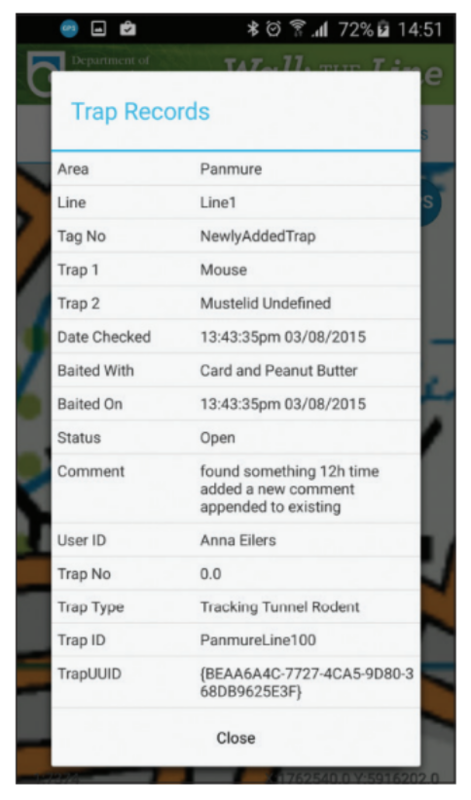 Developing this tool allowed DOC to meet their objective of working with the community by providing community groups and volunteers with the ability to check traps and record the trap information in real time when online. Or, utilising offline functionality and synching edits when in a connected environment. There is no double handling of data, and the data captured meets DOC’s business rules and standards. by either using the GPS or using the map. information as they ‘walk the line’. Easily modify existing traps to update their location. Define default attribute at the start of each transect line. in proximity of a trap. Define their user specific settings. to the data when in a connected environment. Easily download the data relevant to the specific user.